While there appears to be plenty of reason for optimism for the New York Islanders, Matt Moulson, one of their offensive stars, is hoping to let the team's play speak for itself in 2011-12. For a team that hasn't won a playoff series since 1992-93 and were last in the post-season in 2006-07, confidence, it seems, would be an elusive trait on Long Island. But that is anything but the case for this Islanders team, representing a franchise that won four consecutive Stanley Cups, starting in 1979-80, boasts six Conference championship banners that hang from the rafters, along with six divisional titles. The players certainly don't need to be convinced of the path the organization is on. Moulson, a player whose NHL career once appeared to be on the ropes, is a major piece of the Islanders' playoff-hopeful puzzle. Selected 263rd overall by the Pittsburgh Penguins in the 2003 NHL Entry Draft, Moulson graduated from Cornell University in 2006, where he was captain of the hockey team and a member of the Quill and Dagger society (recognized as one of the most prominent collegiate societies of its type) in his senior year. Moulson signed with the Los Angeles Kings as a free agent to an entry-level contract on September 1, 2006. He was then assigned to the Kings affiliate, the Manchester Monarchs of the AHL for the 2006–07 season, scoring 57 points in 77 games. He made his NHL debut in the 2007–08 season on November 2, against the San Jose Sharks, scoring his first NHL goal in the 5-2 victory. 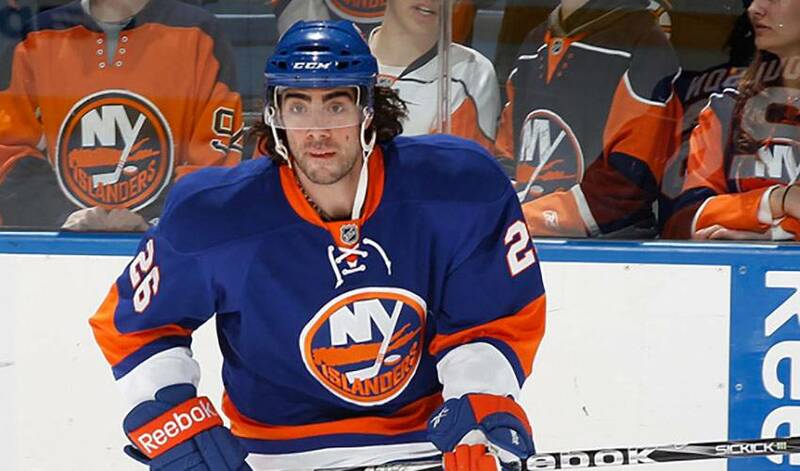 On July 6, 2009, Moulson signed a one-year contract with the New York Islanders. He was the club's leading scorer in the pre-season and made the team out of camp as a linemate of No. 1 overall selection John Tavares. Life on Long Island has indeed been kind to the forward who scored his first NHL hat trick - a natural hat trick - on December 3, 2009 against the Atlanta Thrashers. And more determined than ever. Still, Moulson knows netting one of the eight positions in the East won't come easy. The race for a post-season berth, Moulson acknowledges, starts the first game of the season. And whether rookie or veteran, everyone will be counted on to step up. Yet Moulson sounds very much young at heart when his thoughts turn to 2011-12.